Environments, landscapes, and ecological systems are often seen as fundamental by archaeologists, but how they relate to society is understood in very different ways. The chapters in this book take environment, culture, and technology together. All have been the focus of much attention; often one or other has been seen as the starting point for analysis, but this volume argues that it is the study of the inter-relationships between these three factors that offers a way forward. 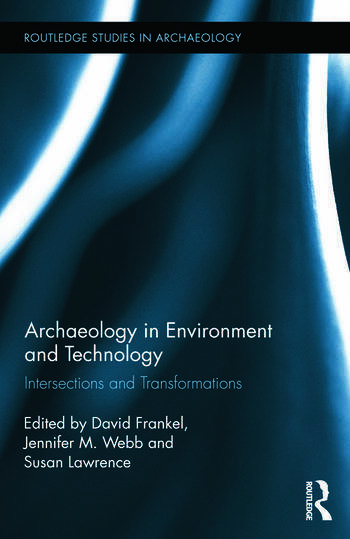 The contributions to this book pick up different strands within the tangled web of intersections between environment, technology, and society, providing a series of case studies which explore facets of this common theme in different settings and circumstances and from different perspectives. As well as addressing themes of theoretical and methodological interest, these case studies draw on primary research dealing with time periods from the late Pleistocene glacial maximum to the very recent past, and involve societies of very different types. Running through all the contributions, however, is a concern with the archaeological record and the ways in which scales of observation and availability of evidence affect the development of questions and explanations. The diversity of the chapters in this volume demonstrates the inherent weakness in any attempt to prioritise environment, technology, or society. These three factors are all embedded in any human activity, as change in one will result in change in the others: social and technical changes alter relations with the environment–and indeed the environment itself—and as environmental change drives changes in society and technology. As this book shows, it is possible to consider the relationship between the three factors from different perspectives, but any attempt to consider one or even two in isolation will mean that valuable insights will be missed. David Frankel is Professor of Archaeology in the School of Historical and European Studies at La Trobe University, Australia. Susan Lawrence is Associate Professor of Historical Archaeology in the School of Historical and European Studies at La Trobe University, Australia. Jennifer Webb is a Post-Doctoral Research Fellow in the School of Historical and European Studies at La Trobe University, Australia.